Are you one of the fortunate San Antonio people with healthy teeth? Would you like to keep them healthy for the rest of your life? Many San Antonio dental clients believe that keeping their teeth healthy into the golden years is unlikely if not impossible. At William J. Stewart Jr. DDS, we are happy to assure you that this is a myth. With proper dental hygiene, regular cosmetic dental exams and cleanings, and a healthy lifestyle, your teeth can serve you throughout your life. At William J. Stewart Jr. DDS, we help clients of all ages, including those in their seventies and eighties, maintain their beautiful smiles. Dentures are not inevitable. Even if you already wear dentures, don’t give up. You can improve your smile and your life with new implant anchored dentures available in San Antonio at our state-of-the-art dental practice. These new fixed dentures won’t slip and slide in your mouth, so you can start eating confidently again. 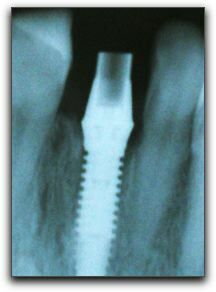 Dental implants are a more natural and comfortable way to replace missing teeth in San Antonio. Our office is friendly and relaxed. You don’t need to worry about being embarrassed if your teeth have not seen a dentist or hygienist for a while. We can treat your dental problems with restorative dentistry and put you on the path for better oral health in the future. Remember, without dental health, you are never truly healthy. Call 210-493-3040.